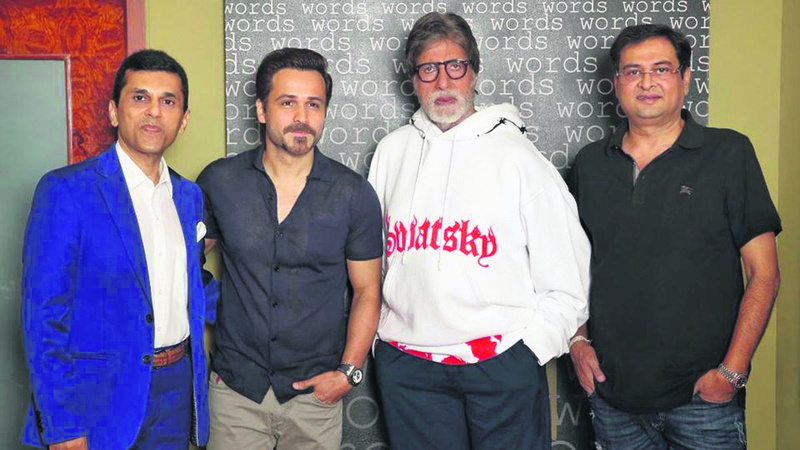 Amitabh Bachchan and Emraan Hashmi are currently teaming up for a mystery thriller that will be released on February 21, 2020. This is the first collaboration between both actors. The yet-to-be-titled film will be helmed by writer-director Rumi Jaffrey. The filmmaker issued a statement saying, “A film is a collaborative effort and when you have one of the best actors in front of the camera and a veteran producer behind the lens supporting you and leading all creative efforts, then making the film is a fantastic experience.” The movie produced by Anand Pandit Motion Pictures and Saraswati Entertainment Private Limited. Producer Anand Pandit said she is looking forward to the project with the two stars. Pandit said, “My friendship with Mr Bachchan goes back a long way. I have not met any other actor who matches his skill and commitment. It is an honour to be a part of creating a film with him, and I have always admired Emraan's body of work, so am looking forward to seeing him onscreen with the legend for the first time.” The film, set to go on floors from May 10, also stars Annu Kapoor. Amitabh seems to have developed a taste for thrillers and murder mysteries.